I am certain that there are more than 10 good reasons to buy a shed, but here are some of the best ones. If you’re thinking of buying a shed, put it off no longer. Christmas is a’comin’, look at it like an early gift. Most people know that a shed is useful for storage, but there are many other reasons why you should add a shed to your Christmas list! Well, of course a shed can be used for storage. Let’s think outside the box even more! 1. Storage, storage, storage. Ever get tired of looking at boxes in your closet? I know I do. Get all those old Christmas decorations out of your hall closet and into a proper storage shed. 2. Kids will leave you alone. Seriously, kids will take your shed and make it into a playhouse no matter if you want them to or not. But the best thing you’ll get out of it is some quiet time while they’re outside messing up your storage unit, you can sit back with a book or a make a meal without hearing them scream! 3. Hobbies. Buying a shed will force you to take up those hobbies you always say you want to do, but say you don’t have the time, or the place to store your hobby materials. Eliminate one excuse and block off some time on your schedule to relax and enjoy your life! 4. Safety. Think of all those items you have lying around your yard, bikes, lawnmowers, garden tools, etc. If you had a shed you can worry less about them getting stolen. It makes your yard less attractive to the would-be thieves too. 5. Cleanliness.They say cleanliness is next to godliness. Well, having a nice clean backyard may not make you more spiritual, but it sure will make your yard more enjoyable if you don’t have random garden tools, toys and other clutter that could be stored in a nice wooden shed. Don’t let this happen to you! Get your garage organized this winter! 6. Creativity. Top 10 people on the survey showed that people who own sheds are more likely to be creative. Okay, that wasn’t really from Family Feud, I made it up. But in truth, if you have the space to be creative, you more likely will be. Sheds can be customized easily to suit your tastes. The more creative your surroundings are, the more creative you will be! 7. Solitude. Man caves aren’t just for garages anymore. 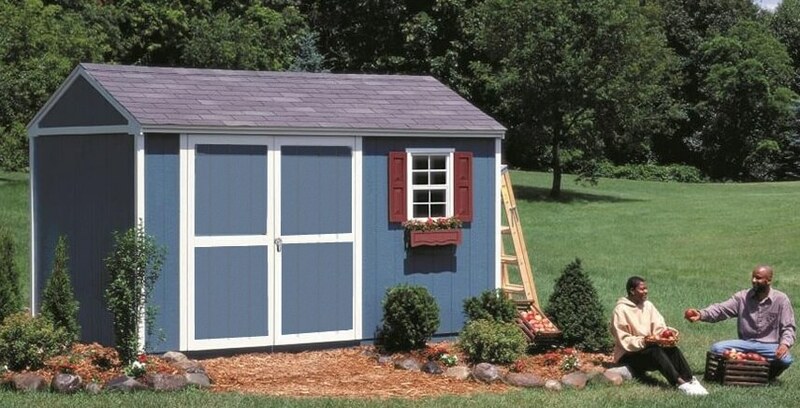 A shed can be a great escape when you want to have some time to yourself, but you can’t leave the family. 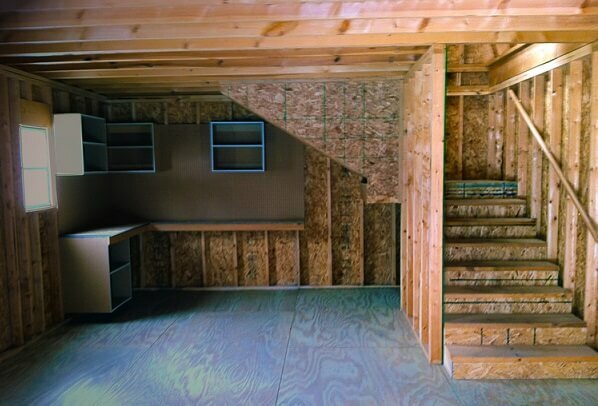 Turn your shed into a man cave and enjoy some peace and quiet. Turn your shed into a home. With a little bit of customization you can convert it into a trendy building that gives you peace and quiet. 8. Value. Having a storage shed can add value to your home. Just in case you’re thinking of selling, having a storage building in your backyard can give your home that added boost in the seller’s market. 9. Sanity. Having a backyard shed can give you peace of mind in many instances. 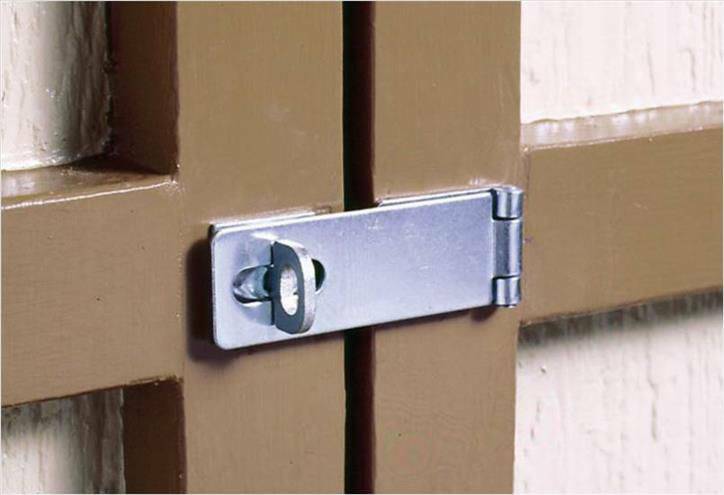 Knowing that all your stuff is locked up and safe during inclement weather, away from thieves and out of the hands of young children makes a person sleep better at night. 10. Life enjoyment. Backyard sheds by themselves don’t necessarily provide any additional life enjoyment. But all the above reasons do, and having all those things in your life sure does make life more enjoyable. 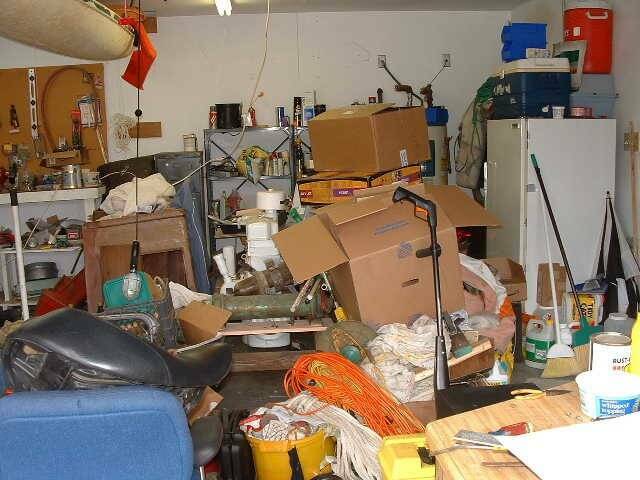 If your garage is getting cluttered with tools and other collectibles, don’t wait to make a new year’s resolution of getting things organized. Review online sites and buy a shed. 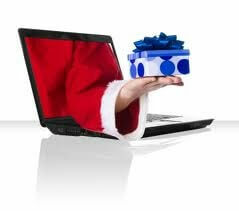 There are many Christmas specials going on right now that will save you hundreds of dollars. Best of all, we offer professional installation, so you don’t even have to worry about working in frigid temperatures. 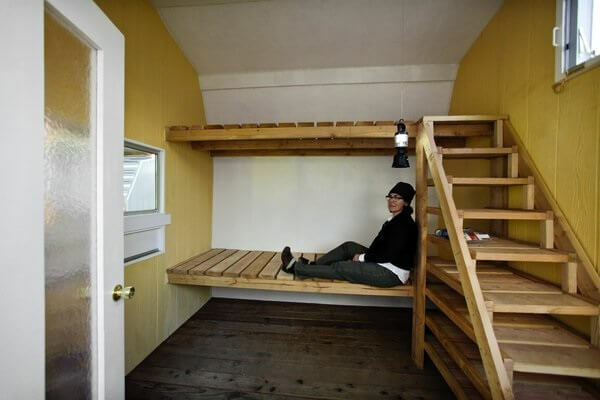 I am also looking at buying a shed and converting it into a living space (not just a “she shed”) I’ve seen a few that are large enough to convert into comfortably sized tiny homes. I’m just curious that on a page that seems to be geared toward men that the only commenters are women looking to purchase an economical home. Are you seeing this more often as housing prices skyrocket and cities are not responsive to providing decent affordable housing? As a single woman I really don’t need much more than a bed, a bath, and a small kitchen; and the whole 3b 2ba American dream has really left single people behind in its quest to sell more, bigger and better. I can’t afford a 70K house and a 70K house is a fixer upper that needs a lot of help. So anyway, thanks for listening to my rant. Have a nice day and God bless. Yes, since the house market crash back in 2008, we have seen a steady increase in the amount of interest in converting sheds into livable spaces. If you are interested, we have several different sheds that might meet your needs. Feel free to browse our online selection of sheds. We can also help you over the phone, so give us a call at 855-853-8558. Have a great day! I like that you mentioned the level of security a shed can provide for your outdoor belongings. My kids leave stuff out all the time after playing outside. Having a shed for them to place things in and lock up would be great! It’s interesting how you said that you could turn a farm shed or a shed in general into a place where a man could go to relax and have some focus and quiet time. My husband is definitely one of the guys who likes to go and work with his hands in his spare time. I think this would be something that he would really enjoy, so I’ll have to see how much it would cost and maybe get him one for his birthday. 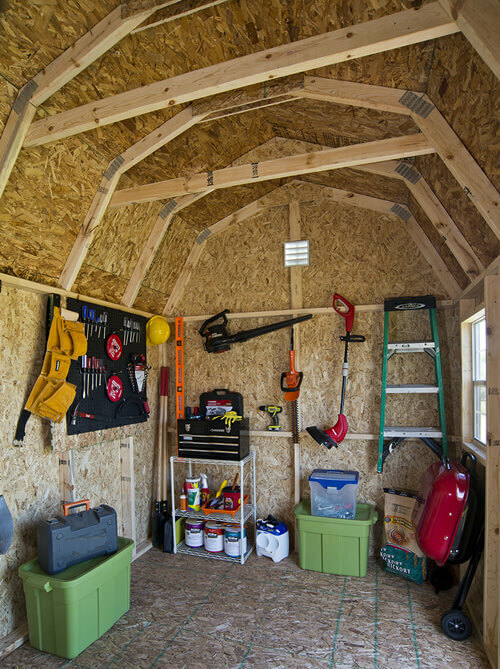 Thanks for mentioning how you should look for a farm shed that is clean and organized. I like how you said that they should also be safe and have the tools locked up. My husband and I are looking into farm sheds for my uncle who is a farmer.